The air pollution is a major problem, especially in the big cities around the Earth, and London is on the top of the list. England’s capital already reached the air pollution limit, set by the European Union for 2018. However, great efforts are made in order to limit this highly pollution level. Thanks to German-based company Green City Solutions, London gained a city bench what can absorb more air pollution than a small forest. 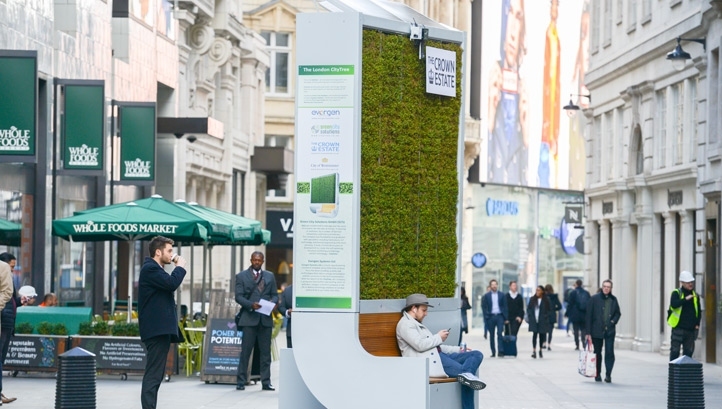 “Planted” in the city’s most busy area, Piccadilly Circus, the CityTree is able to absorb as much pollution as 275 trees, by using a vertical installation of moss. “There is no simple solution, so alongside our work to reduce carbon emissions from our buildings and reduce the number of vehicles on our roads, we want to test and learn from new technology,”declared in a statement, James Cooksey, Director of Central London. 13 feet high, the bench can hold up to 1,682 pots of moss. It’s also connected to the internet and can provide data of the surrounding environment, as air temperature, water quality, pollution and soil humidity. 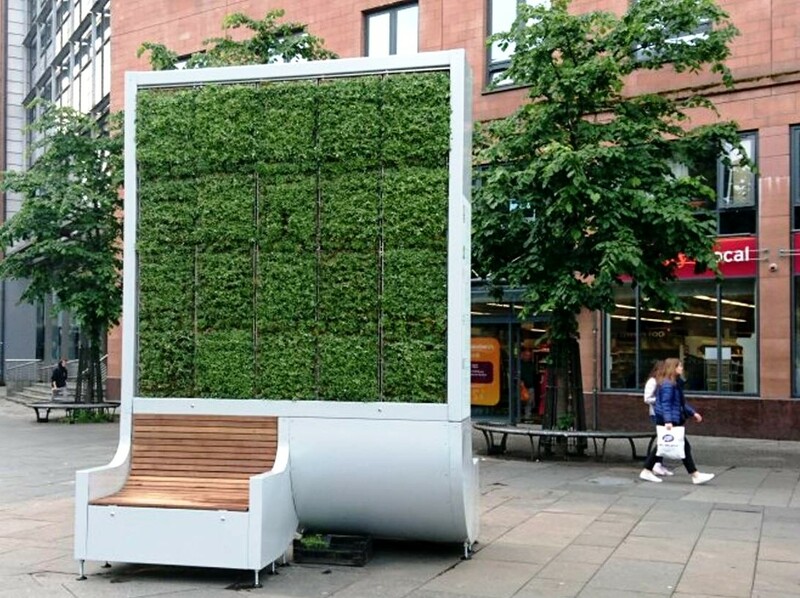 There are over 20 CityTrees installed around the world and among the cities that reduced air pollution with the help of this high tech bench are Berlin, Oslo, Paris, Amsterdam, Brussels, Drammen, Newcastle and Hong Kong. “Our ultimate goal is to incorporate technology from the CityTree into existing buildings. We dream of creating a climate infrastructure so we can regulate what kind of air and also what kind of temperature we have in a city,” declared Zhengliang Wu, co-founder of Green City Solutions. In the video bellow you can find out more about this high tech invention designed to fight air pollution!